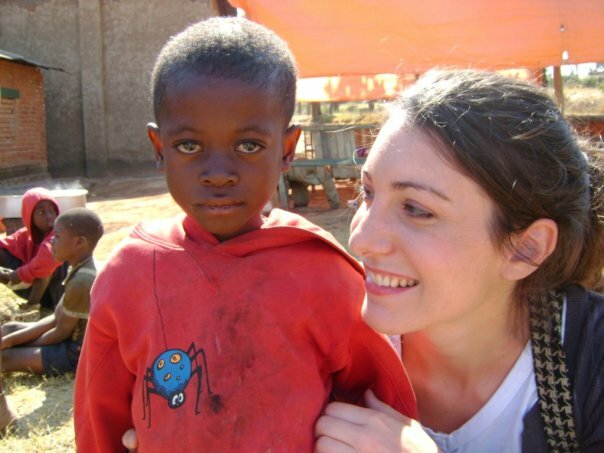 A past volunteer with Hands at Work, Jessie's story reveals the wrestling she faced when she met the most vulnerable children and those who serve them in Africa. Years later, she continues to be challenged by God and the Hands at Work family to care and advocate for the most vulnerable back home in the US. I last stood on African soil more than four years ago and yet when I stepped into the circle of other Hands at Work advocates, donors, and volunteers to pray for our time together, the room instantly filled with the same sweet and heavy presence of the Lord. It was the same sense of familial connectedness that had marked my time volunteering with Hands at Work from 2008 to 2009. The Hands at Work US Family, reunited in Kenosha, Wisconsin.The Hands’ Family Reunion took place in Kenosha, Wisconsin on October 12th. It was a special meeting organized by the Hands at Work US office for members of the Hands family to come together for a time of fellowship, to share in our passion for the vulnerable in Africa and unite in our desire to participate in the amazing work of Hands in South Africa, Zambia, Mozambique, Zimbabwe, Malawi, Nigeria, Democratic Republic of Congo, and Swaziland. 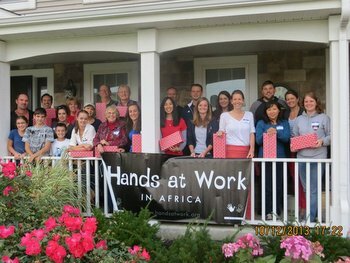 George Snyman, founder of Hands at Work, attended the event and shared updates from the field. He displayed the staggering faith, heart-wrenching commitment, extreme sacrifice, and incomparable service of the African country leaders heading up the organization’s efforts in each sub-Saharan nation. George’s stories challenged us to acknowledge the intrinsic prosperity and comfort of our American culture, and to dig much deeper when we consider all that God has called us to in caring for the poor and for our spiritual family. Erick Rukang, who has long headed up Hands’ work in the Democratic Republic of Congo, recently pushed into Goma, a city long experiencing extreme rebel unrest, and cultural and political violence so severe that it has claimed millions of lives in the last two decades. George shared staggering stories of the individuals whom Erick was able to connect with in Goma. He shared stories of individuals so devoted to their neighbors’ safety and welfare that they risked their own lives to aid others in their community. I had the privilege of visiting Erick in Likasi, Democratic Republic of Congo in 2009. Over the course of several days of my visit, I was introduced to a number of communities in which he was working. I also had an opportunity to attend his church and got to hear firsthand about his many sacrifices and deep spiritual commitment to caring for the poor and vulnerable in his country. Moreover I became familiar with Erick’s incredibly positive outlook, joyful countenance, and cheerful demeanor. We cooked dinner, watched Michael Jackson’s funeral, and studied scripture together during that week. We became family. Jessie and Leontine, a special, spunky but vulnerable young girl in DR Congo who died of HIV/AIDS a year after this photo was taken.At the reunion, when George challenged us to dig deeper, I thought of Erick. Distance, in both geography and time, has a numbing effect. The last four years have taught me that. At the Hands’ Reunion I was reminded that those who labor in the field have no such numbing effect, they are doing the hard work, sacrificing and pouring out their lives for those in need day after day, year after year, without relenting. Erick’s story is just one testament to that. I thank God for him and for each member of the Hands’ family. Following the Hands at Work Reunion, I am striving to continually and prayerfully ruminate on George’s challenge to dig deeper, to remain aware of the great need and the extreme sacrifice required to address it. Thankfully, the Reunion also reminded me that I am not alone in this challenge. As we prayed together that day I recognized it immediately. These individuals, some dear friends and others complete strangers yet all spiritual family, are all here for a clear and certain purpose: fulfilling God’s call to serve the poor and vulnerable. In that purpose, we are together. To learn more about advocating for the most vulnerable children in Africa, visit our Advocate page.